Pep Talking: 2017 Project Round-Up, the Pros & Cons of Self-Employment, Looking Forward to 2018! It’s been a great first six months here at Pep Talking. I chose not to return to my former agency job post maternity leave as I wanted more time at home with my son and to avoid the travelling that I’d have to do every couple of weeks. So that left me setting up shop in May, excited yet nervous to fly solo. Almost right off the bat I was lucky to land some wonderful clients, mostly through former colleagues and ex-clients from my former business-owning days. After a month of working from home, I soon joined a co-working space in town which prevented me from getting lonely, has kept me caffeinated and ensures that I get out of my yoga pants at least three times a week. (Actually, pretty sure I'm in my yoga pants in this picture.) If you're looking for a wonderful place to co-work in Cambridge, check out CambridgeSpace. The guys there are amazing. So far I’ve worked on a range of interesting and diverse projects, which I’ll share a bit about below. I’ll also add in some thoughts on what’s coming for 2018. 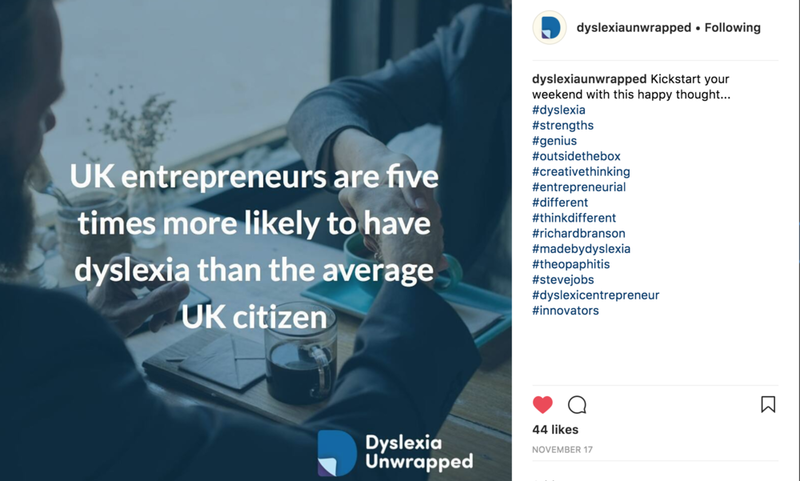 The first project I got stuck into was the content strategy and creation for a new website from Dyslexia Scotland aimed at under 21 year-olds with dyslexia. DS received a grant from the Scottish government to create a dedicated hub full of interactive content called ‘Dyslexia Uwrapped’ and this was a 5-month project, which was great. There were two things that were fun about this project; firstly, that dyslexia by its very nature means that dyslexic students don’t want to read lots of text! So, I was forced to get creative with the content ideas. I commissioned infographics, organised video interviews and tried to include lots of fun and colourful items for the site. I found it especially interesting to learn about how driving can be so difficult for those with dyslexia. From taking the theory test through to struggling with the difference between left, right and other directional instructions, it never occurred to me what a challenge driving might be for others. I was in charge of the content and social strategies – looking at personas for the different age groups and then coming up with content and social ideas that would appeal to these target audiences. I also did much of the content creation as well as offered up social guidance for the DS team who were new to using Instagram and Pinterest. They’ve really got their teeth into Instagram especially and I love seeing their posts come up on my feed as they’re doing such a good job with it! My biggest takeaway from this project is that dyslexia is not necessarily a negative thing. It’s just a different way that the brain is wired, and we should celebrate neurodiversity such as this – it’s what makes the world such an interesting place. I’m so grateful for this project as it was truly eye opening and educational. Some examples of content on the site: here, here and here. Doko is a mobile and social publishing tool from the Cambridge-based start up 'Curious Collective' and the core audience for the app is foodies and travel and lifestyle bloggers. As such I was tasked with connecting with some influencers in those sectors. I met with two big food bloggers: 'Taipei Foodie' and 'Hungry in Taipei' and worked with a variety of writers here in the UK on creating content for both the website and the app. I assigned topics and titles for the writers, wrote their briefs and edited their submissions. Despite many of the blog posts leaving me hungry and with utter wanderlust, working on this was super fun! I’ve always loved nit-picking others’ manuscripts - I get such a weird high from it! So I was thrilled to copy edit and critique Lauren Clark’s new book, The World Breaks Everyone. I also got the chance to review Lauren's book proposal for a non-fiction career guide. I’ve worked with her in the past on 3 or 4 projects and we always have a blast. I can’t wait to hold the books in my hand next year! I got a great chance to work with a yoga teacher on her digital presence, supporting her bigger vision of opening a brick and mortar studio. Through branding, website creation and building her online following, she can start to connect with more and more yogis and build a source of income outside of classes. Given my love of yoga this was obviously a really cool project. The website will be launched in early 2018 and I’ll be sure to share it so that you can get yourself to a yoga class or two! 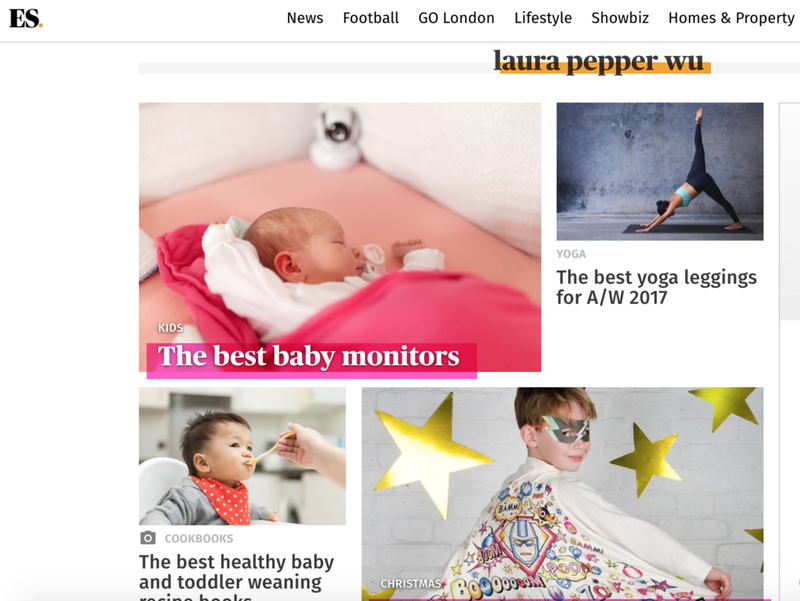 Since the summer I’ve been writing a column for the Evening Standard Online, reviewing products in the health and wellness and parenting spheres. My favourite has to be The Best Vegan Snack Subscriptions (taste-testing has to be the ultimate assignment), followed closely by The Best Christmas Gifts for Toddlers – it was super fun playing with Mr Potato Head after all these years. One of the reasons I enjoyed agency work so much was the variety of sectors our clients - and thus our projects - were in. I got to learn so much about different industries which satisfied the inner geek and life-long-learner in me. Luckily this has continued with my freelance work, and I’ve taken on copywriting for a cleaning company, a co-working space, an events management company, a healthcare client and more! It gives me the opportunity to keep learning about new things and challenges my writing chops, which is always a good thing. I’ve been coordinating a design project for a large book publisher in the US. The book will be out in March 2018. I’m going to take two full weeks off for Christmas and my birthday. I hope to spend some of this time goal planning for 2018 but there’s an equal chance I might be drinking mulled wine, watching Netflix and listening to the Ed Sheeran album on repeat. I’ll report back. One of the things I’ve experienced in my first six months is how vulnerable working for yourself can be. Yes, the flexibility is amazing. I’ve loved being able to stay home and cuddle my son when he got chicken pox, hand foot and mouth and all of other plagues that the nursery kindly bestowed upon him. And yes, I’ve found it has helped enormously with work-life balance; I get to do laundry during the day and the dog gets walked. But on the flip side, I’ve had two projects that were lined up be postponed at the last minute, leaving me without work for a short period. When you’re dependent upon a client who is dependent upon receiving a brief and / or funding from somewhere else, there’s a lot of room for stuff falling through. It’s not a problem in the sense that as a business owner there’s always stuff to do (website, accounting, taxes, marketing…) but it is a bit scary living in the “feast and famine” cycle that is a natural part of freelancing. As such I’m hoping to work on stabilising my income in 2018 so that it’s a bit less scary – and also trying not to get derailed emotionally when a project gets delayed or cancelled. Wishing you a splendid / relaxing / food-filled / stress-free Christmas and a rewarding and happy 2018.